North Korea fired a ballistic missile from its capital Pyongyang that flew over Japan before plunging into the northern Pacific Ocean, officials said Tuesday, an aggressive test-flight over the territory of a close U.S. ally that sends a clear message of defiance as Washington and Seoul conduct war games nearby. South Korea’s Foreign Ministry warned that the North will face a “strong response” from the U.S.-South Korean alliance if what it called nuclear and missile provocations continue. The ministry also urged Pyongyang to accept talks over its nuclear program and acknowledge that abandoning its nuclear ambitions is the only way to guarantee its security and economic development. North Korea typically reacts with anger to U.S.-South Korean military drills, which are happening now, often testing weapons and threatening Seoul and Washington in its state-controlled media. 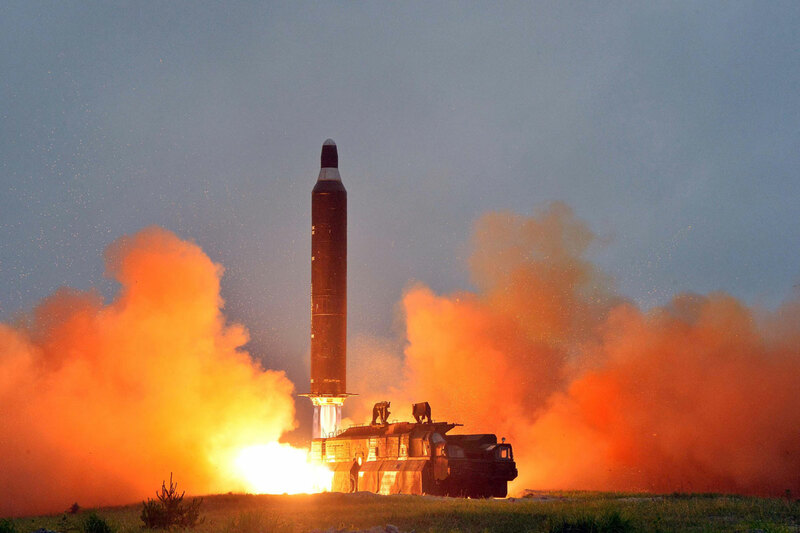 But animosity is higher than usual following threats by Trump to unleash “fire and fury” on the North, and Pyongyang’s stated plan to consider firing some of its missiles near Guam. North Korea first fired a rocket over Japanese territory in August of 1998 when a multistage rocket that outside experts called “Taepodong-1” flew about 1,500 kilometers (932 miles) before landing in the Pacific Ocean. The North later said it launched a satellite.